Copyright (c) 2011, Santiago Orozco (hi@typemade.mx), with Reserved Font Name “Italiana”. 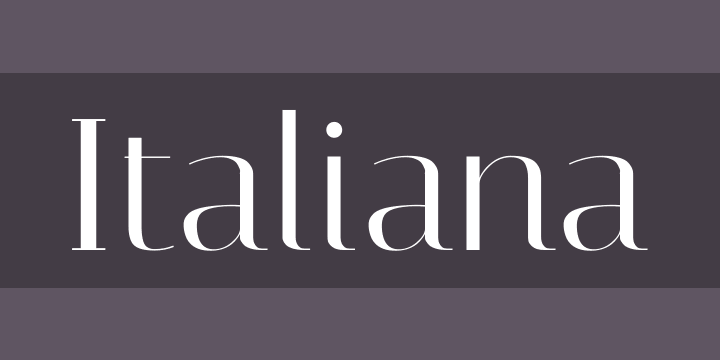 Italiana was designed for use in the headlines of newspapers and magazines. Italiana is inspired by the calligraphy of the Italian masters. It is suitable for design solutions that require elegance and sophistication. 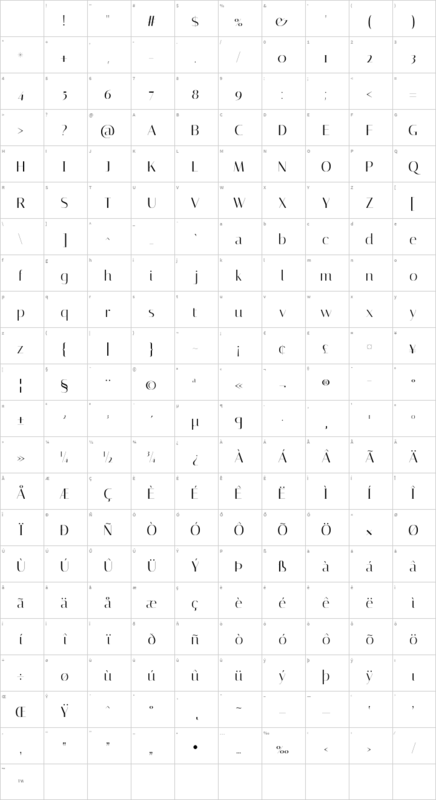 It was conceived with modern proportions that make it great for economical typesetting both on paper and on screen. The Italiana family is in progress and is being regularly improved. If you have a request, wish to contribute improvements or even fund specific features, simply contact Typemade. You can follow Santiago on Twitter, @Typemade.